for our Parishioners and Community. Saint Francis of Assisi Church. Celebrate the Present with all our Parish Ministry. by Building up Your Church. 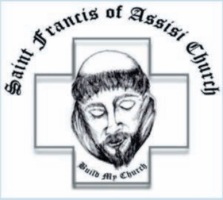 and Saint Francis of Assisi, Our Patron, we pray through Christ, Our Lord. Amen.